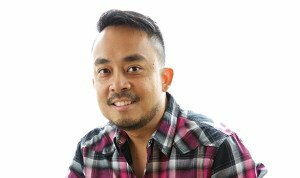 MEET JASON SALMO "JAY J"
Jason R. Salmo, Performer/Event Emcee and the voice of Next Level Entertainment was born and raised on the island of Maui. His journey started in May of 2000 when he answered a post in a chat room regarding a radio broadcasting internship while living on Oahu for college. A field that he’s always dreamed of getting into while in high school listening to various radio stations from around the state of Hawaii and being inspired by these radio personalities. After graduating college he flew back home to Maui and took the opportunity to intern at KPMW WiLD 105.5. He would intern at KPMW WiLD 105.5 for 6 months and then eventually put on a weeknight show and weekend overnights. It was in January 2001 where Jason was promoted to the afternoon drive as one half of The Funky Filipinos. He’s been the afternoon voice of KPMW WiLD 105.5 for 12 years until leaving the station in 2013. While in radio Jason became the voice of various live mix shows for the station and music director. His skills have been recognized in the Maui Time Weekly Best of 2012 winning the award of Best Radio DJ. Jason also hosted radio station events and events put on by other promotion companies. If it was a movie premiere, private party, or a night club event Jason was there to lend his voice to keep things exciting. Jason always has the desire to master his craft. He has been professionally trained by some of the best in the industry, and is always looking for ways to elevate his game. Jason believes that you should never stop learning, especially if it’s something that you love to do. One thing that makes Jason a unique emcee is his ability to adapt to any event that he’s hosting. From weddings to graduation parties, Jason can host it all and is ready for more. He can make you feel part of the event as opposed to just being a spectator. Jason’s approach to private event hosting is personal, professional, and fun loving. His execution is above and beyond which makes him an asset to any event. Passion and love keeps him in high demand and the top of his profession. Click on icons below to stay connected with Jay J on social media. Let’s create your unforgettable experience.